So Nibboxx sent me one of their snack boxes to try. 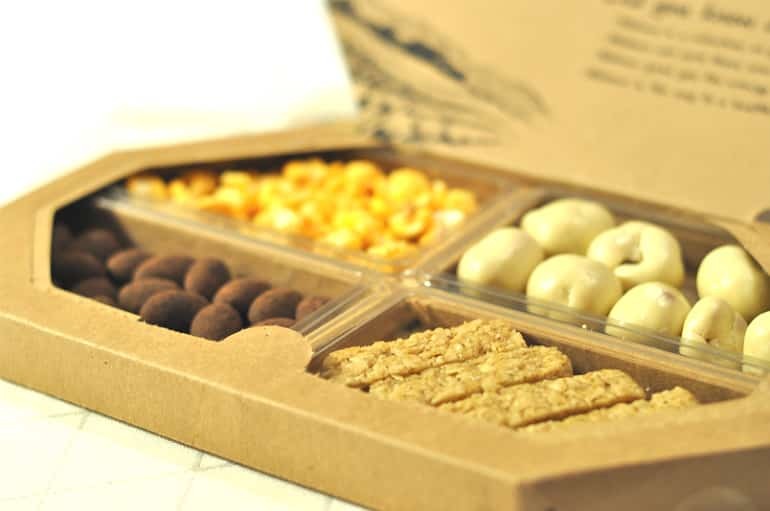 They make snacks-to-your-door in four different types of box: Protein, Low Calorie, Gluten Free and 50/50 (for when you can’t decide). I received a very tasty, very generous selection of organic vanilla flapjack, cocoa glazed almonds, chilli & lemon popcorn and white chocolate covered strawberries. I loved how much sweet stuff I received! The vanilla flapjack has a lovely, rustic texture and the cocoa almonds were rich and smooth. The white chocolate strawberries were my favourite; big balls of tangy, freeze dried strawbs with a thick coating of creamy white choc. So tasty, I couldn’t stop revisiting the box until they were gone! (Case in point: I am terrible at moderation). 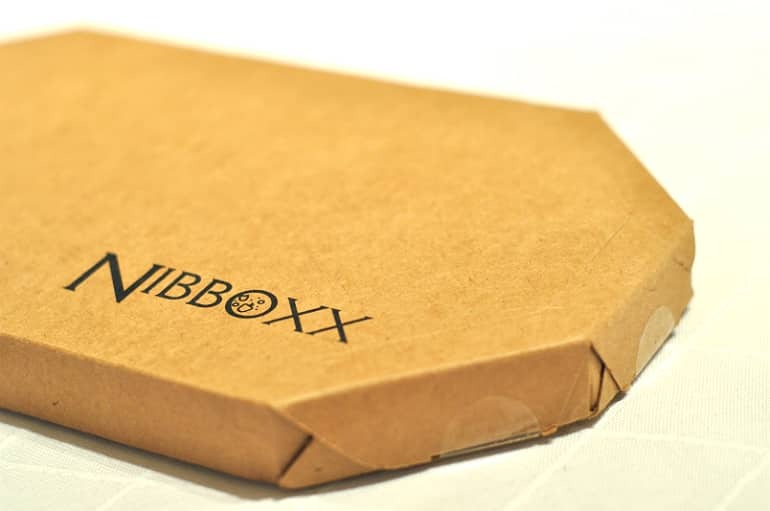 Which leads onto why I think the different box categories Nibboxx offer are a good idea. 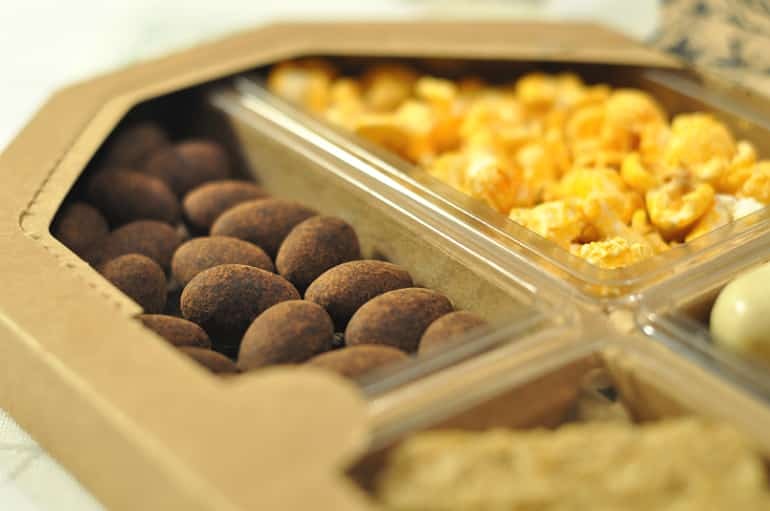 You can pick snacks tailored to your goals and lifestyle. For example, the goodies I received are quite indulgent; the whole box contains 1,142 calories and sugar is the top 3 ingredient in all of the snacks. These are intended to be healthier, more wholesome treats than say crisps or chocolate, but treats nonetheless. So, if you’re a greedy guts like me who can’t leave well alone this might not be the best choice! 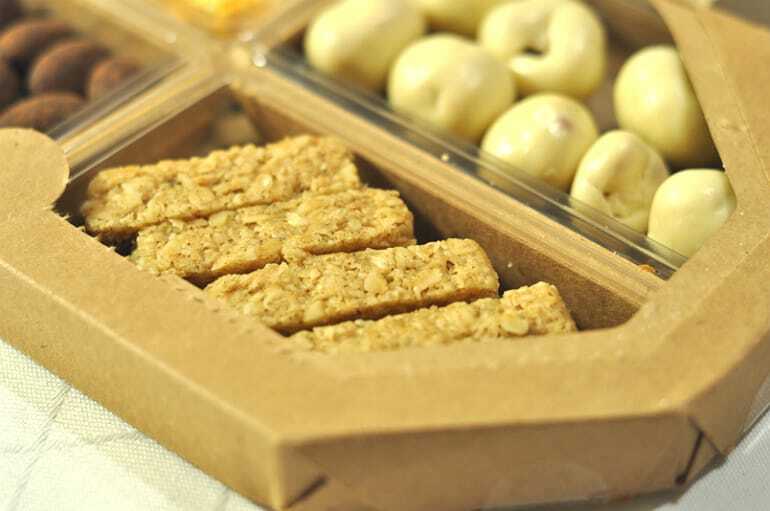 If saintly snacks are more your thing, Nibboxx have a low calorie box with just 480 cals inside. If I were to subscribe I’d definitely go for that one. I haven’t had a snack subscription in the longest time, I’d forgotten how fun it is to receive food in the post! I'm Jo, owner of an insatiable appetite, bringing you food and fantastic experiences from across the UK and beyond. Top notch dinner guest. Hates being hungry. Make mine a rum. @2018 - Girl Eats World. All Right Reserved.